How much time do you waste trailering your boat, uncovering it, recovering it, washing it, and worrying about it? Sometimes, it hardly seems worth all the effort. We take care of all that for you so when you're ready to go, your boat is too. Just step on board, load up, and take off. Let us know when you want to go out and play and we'll take care of the rest. 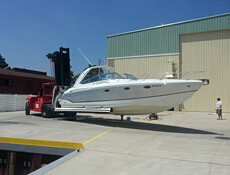 When your boat is in our dry rack storage facility, it will be clean and secure in an indoor berth. When you're ready to go, we'll retrieve your boat and put it in the water for you. 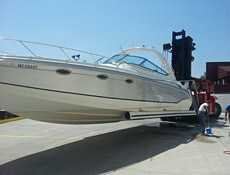 Unlimited in/out valet service - seven days a week - with quick and easy access to your boat. 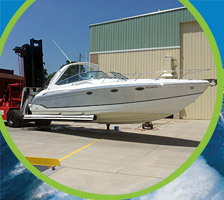 When you return, we'll rinse your boat, perform pump out service, and return it to the security of your rack. Back in after hours? No problem. Drop your keys in the night drop box and we'll take care of everything first thing in the morning. It's like having your own private boathouse, but even better! Spend More Time On the Water and Save Money Too!